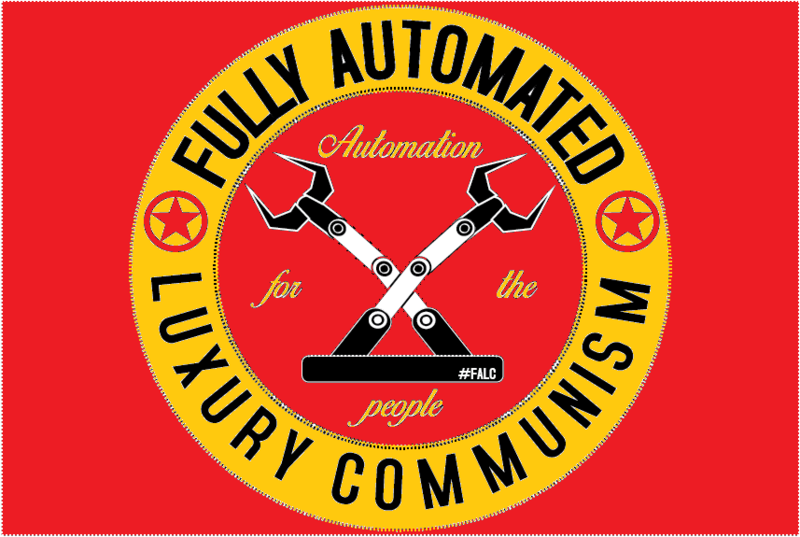 The acronyms in the title stand for Fully-Automated Luxury Communism (FALC), Rising Income through Cybernetic Homeostasis (RICH), and Libertarian Social Democracy (LSD). The FALC philosophy is something that I learned about through Aaron Bastani, although I am not sure who exactly coined the term. Bastani advocates "full automation of everything and common ownership of that which is automated." FALC theorists offer us a Utopian vision of the future. For more information, see Fully Automated Luxury Communism by Brian Merchant. 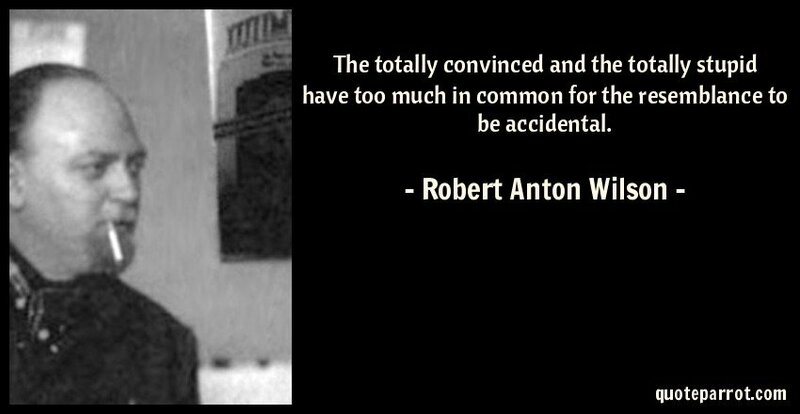 The concept of the RICH economy is something I discovered through the anarchist philosopher Robert Anton Wilson, though the concept originated with L. Wayne Benner. RICH is complementary to FALC and basically amounts to a plan for transitioning from capitalism to something like fully-automated luxury communism. The RICH philosophy does not regard unemployment as a problem to be solved. Rising unemployment is caused by increased efficiency and is, therefore, a sign of economic health. When the economy is more efficient, we can do more with less. The ability to do more with less results in a rise in unemployment. Unemployment rises because we simply do not need as many people to work in order to meet the needs of society. The RICH economic program consists of a four-stage transitional scheme, transitioning from the current capitalistic society to a fully-automated socialist society. Stage 1: Recognize that unemployment is not a disease but something to be desired. Seek the abolition of work. Offer a reward to any worker that can successfully automate their job so that they are no longer needed for that purpose. Stage 2: Create a Universal Basic Income to guarantee everyone a minimum unconditional income sufficient for one to live on. This will serve as a safety net for those who lose their jobs due to automation. Eventually, cybernetics and automation will be perfected to the point of totally eliminating the need for human labor. For more information on the idea of the RICH economy, check out the links here and here. Libertarian social democracy is the term I use to describe my own political philosophy. RICH and FALC are both complimentary to my philosophy. However, LSD attempts to make a more detailed plan for transitioning from capitalism to fully-automated socialism. Under the RICH plan, profits from industry and rent are confiscated and redistributed to the populace as a social dividend or basic income. However, not much thought appears to be given to the exact way in which this confiscation is to be done. (Please excuse me if I am mistaken in this assumption, as I have not actually read all of the literature on RICH theory.) My LSD approach looks at forms of taxation, and makes the case for the justice of very particular means of confiscating profits. Thus, I look at land value tax, corporate tax, progressive taxation, Pigouvian taxes, and such. I make arguments for the justice of these taxes, given very particular conditions, and look at how the transitional society can be viewed as something like a libertarian version of social democracy. Furthermore, libertarian social democracy goes further than RICH and FALC insofar as it also focuses more on general reforms (e.g. abolishing/reforming police forces, reforming the military, and monetary reform). One major proposal of LSD is to create a cryptocurrency monetary system as legal tender and integrate taxation and redistribution into the monetary system so that the major functions of the State are automated, thereby eliminating the rule of man over man. Thus, libertarian social democracy can be viewed as a form of government that would not just be transitional, leading up to FALC. In my opinion, a FALC society ought to be governed upon libertarian and social democratic principles, even after it is fully actualized. For more information, see The Constitution of the Libertarian Social Democratic Republic. Commenting on this Story will be automatically closed on September 13, 2017.